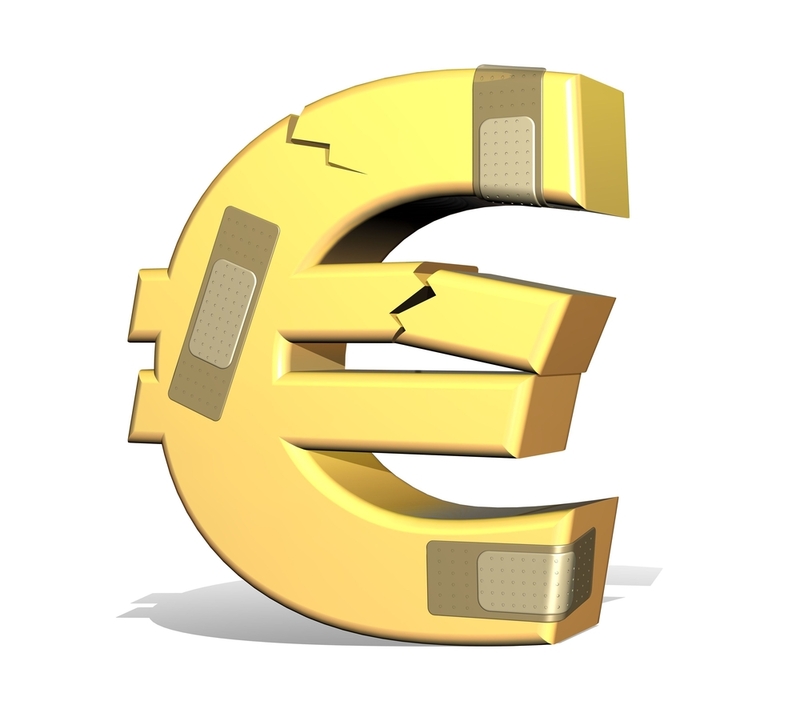 Dollar Crashes, Will ECB Draghi Say Enough to Kill Euro Rally? 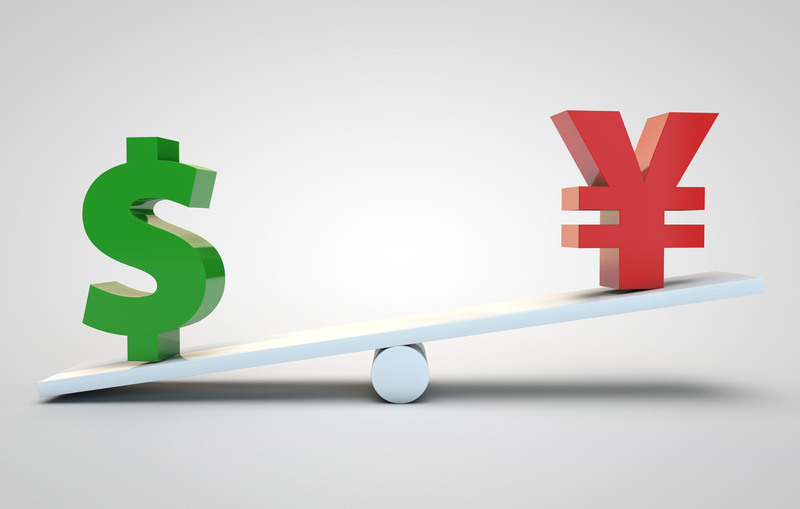 It was another crushing day for the U.S. dollar with the greenback trading sharply lower against all of the major currencies. 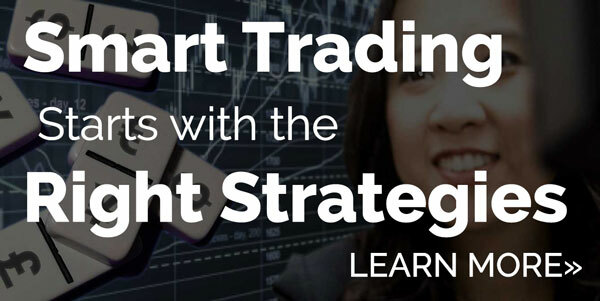 What sets this leg apart from others is that it drove many major currency pairs beyond important support and resistance levels. 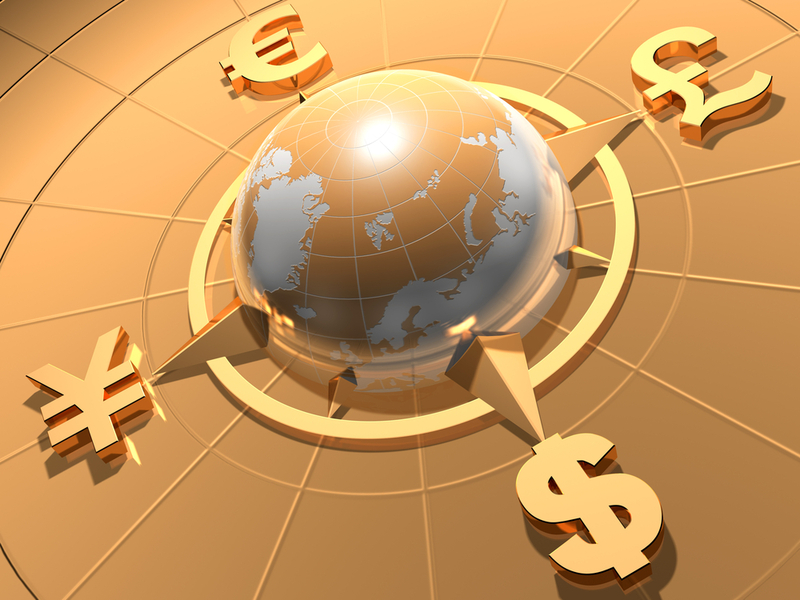 USD/JPY broke through 110, EUR/USD hit 1.25 and GBP/USD soared to 1.42 after breaking 1.40. U.S. yields are up which means that the sell-off in the dollar is driven by the selling of bonds. Weaker existing home sales added to the pain but the sell-off began much earlier during the Asia trading session. Investors are worried that President Trump’s trade actions will spark a trade war with China or encourage them to harden their plans to reduce Treasury purchases, which could hurt the U.S. economy by driving yields even higher. Investors are still worried about a government shutdown 2 to 3 weeks from now. Treasury Secretary Munchkin also described the dollar’s weakness as “good for us as it relates to trade and opportunities” which is a departure from the government’s traditional support for a strong dollar. 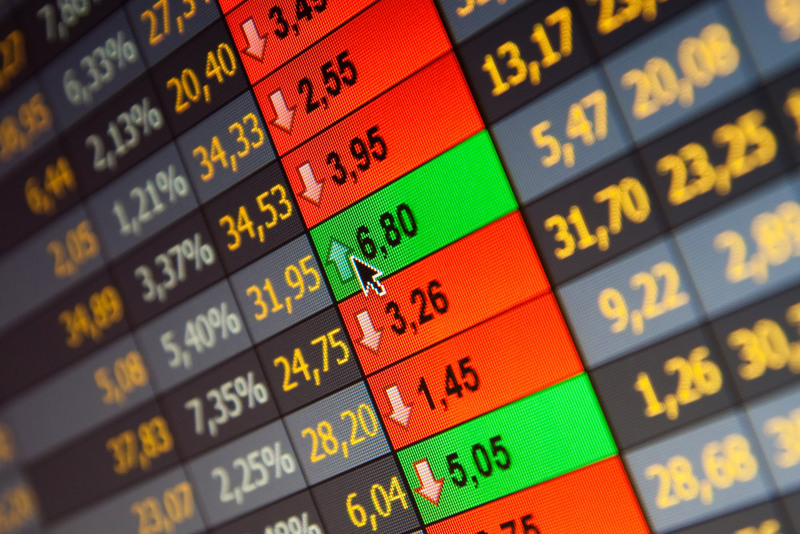 New home sales, the trade balance and jobless claims are scheduled for release tomorrow – while interesting, these reports are not expected to have a significant impact on the dollar. Instead, the market will be watching the ECB. At this stage, the only trigger for a reversal in current market trends would be central bank rhetoric. Euro hit at a 3 year high versus the U.S. dollar ahead of Thursday’s European Central Bank monetary policy announcement. Since the last meeting in mid-December, EUR/USD appreciated close to 5% with 10 year German bund yields up 25bp. This is akin to a quarter point rate hike for the Eurozone economy and the question ahead is whether the central bank is worried. 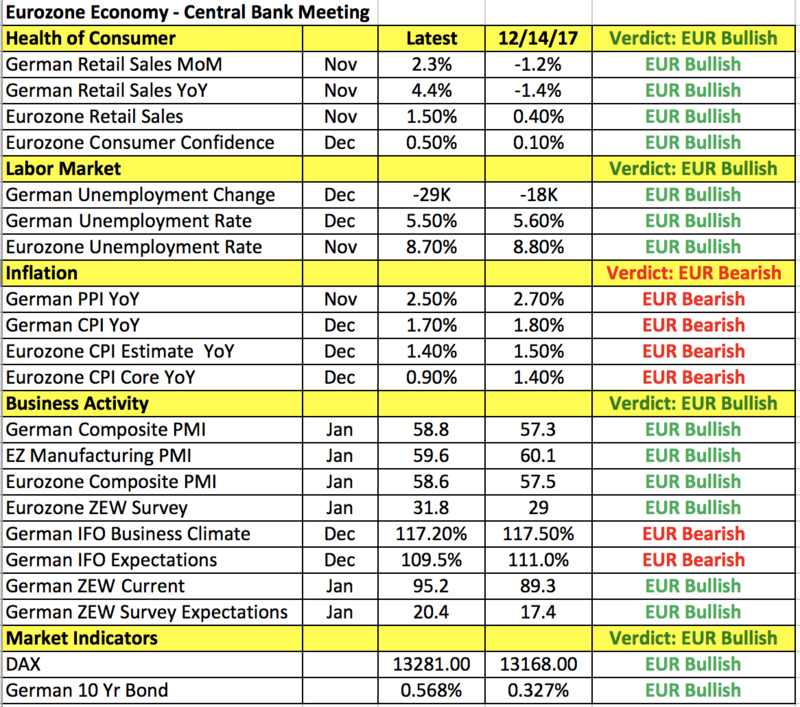 These gains are happening under the backdrop of stronger Eurozone growth. As shown in the table below, everything from consumer spending, confidence, labor market conditions, manufacturing and service sector activity have improved. 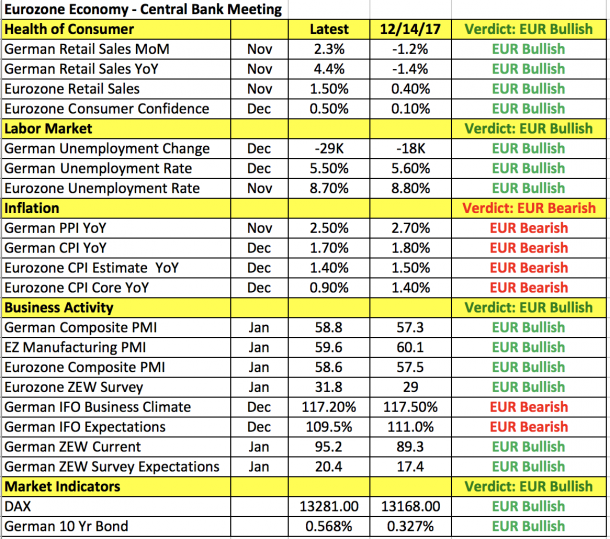 The only sore spot is inflation and the outlook likely worsened with the rise in the euro. A number of ECB officials came out to speak against the euro’s strength when it was trading at 1.22 but investors have been waiting on ECB President Mario Draghi. There’s no doubt in our minds that Draghi will try to jawbone the currency by expressing his discontent with its rapid rise but that may not be enough to reverse the uptrend in the euro. It’s important to remember that the euro’s gains are driven by U.S. dollar weakness, the hope of early guidance change and strong Eurozone data. In order for traders to stop buying euros and start selling, Draghi needs to combine currency worries with downplaying the chance of a guidance change. He can accomplish that by saying rate hikes won’t come until after QE ends and by diminishing the hawkishness of the last ECB minutes. In this case, EUR/USD will fall with profit taking possibly driving the pair below 1.23. If Draghi expresses concerns about the currency but focuses on the improvements in the economy and acknowledges the possibility of early guidance changes, buyers will sweep in quickly especially following knee jerk decline and we may find EUR/USD on its way towards 1.25. The best performing currency today was sterling which rose nearly 250 pips against the U.S. dollar on the back of stop hunting and stronger data. Jobless claims increased less in December than in November, the unemployment rate held steady and most importantly average weekly earnings ex bonuses grew at a faster pace. UK data is good, Brexit talks are progressing and there’s no major resistance in GBP/USD until 1.45. All 3 of the commodity currencies traded higher with the Australian dollar leading the gains. These moves were driven entirely by U.S dollar weakness but there are New Zealand and Canadian economic reports scheduled for release over the next 24 hours that could change things. Q4 CPI numbers are due from New Zealand and the risk is to the downside given price pressures at the end of the year. 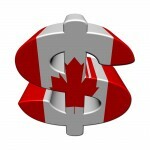 Canadian retail sales are due on Thursday and after last month’s strong rise, a pullback is anticipated.